What’s wrong with Scottish nationalism? I don’t understand it, I just don’t. Is it the Scottish cringe? Some historical embarrassment the nation suffered under the Saltire. Okay, bagpipes can be a bit grating, if played poorly. And haggis, well perhaps an acquired taste. But why so much collective unease about Scottish nationalism? I’m an American, and we’re a proud patriotic lot. Perhaps to most nations a bit too extreme. So over the course of these last two years, I have been more than a bit taken aback by Scots who seem to collectively recoil when a Saltire comes into view. Why is this? I’ve now lived here (on & off) over the course of 15 years, and am still mystified by much of my adopted land. But little perplexes me as much as this wide spread unease with Scottishness. Sure during the independence referendum, the Better Together camp tried to imply that waving the Scottish flag was akin to nazism, fascism, kitten killers. Take your pick. I just assumed this was done as an attack on the idea of Scottish independence. But I noticed it wasn’t just NO voters who shuddered at the sight of a kilt, or thought an admiration for William Wallace meant one must be soft in the head. It was far more pervasive. People who I perceived as being open minded and progressive also seemed to find Scottish pride an embarrassment. Why is this? I don’t see British nationalism as something many shy away from. Talking about a fondness of Winston Churchill or even a grudging respect for the slightly more controversial Oliver Cromwell, doesn’t seem to illicit gasps and rolled eyes from your neighbours. But publicly visit the William Wallace monument in London or speak proudly of the Battle of Bannockburn, and you’re a crazed zealot who probably eats small children for breakfast, while listening to The Flower of Scotland. It’s bizarre. There’s no reason for Scotland to be the only country on earth where being proud of your heritage is considered a public disgrace. Why should anyone be made to feel self conscious flying their nation’s flag. 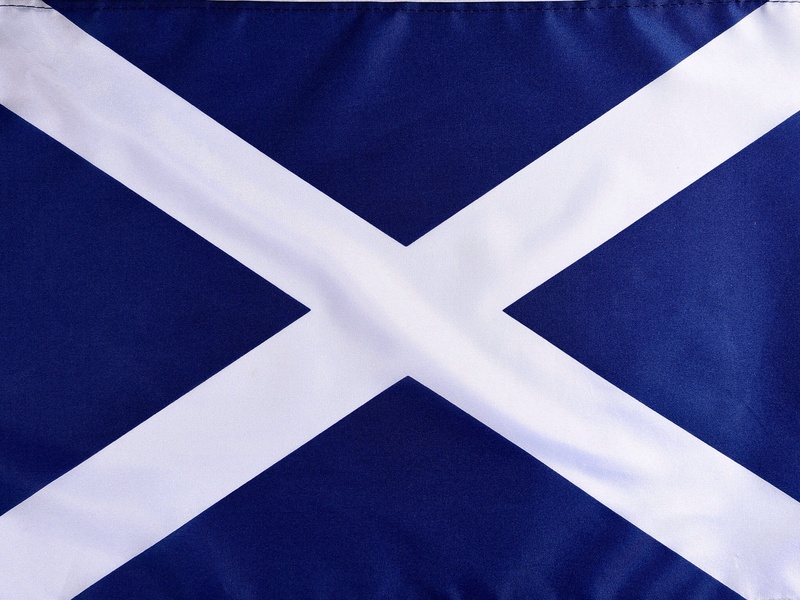 The Saltire is beautiful and it symbolises a pretty damn awesome country. One which I’m hugely proud to call my home. So get out there Scots- English born Scots, Asian born Scots, Italian born Scots, and some of us American born Scots. Sing Caledonia at the top of your lungs. Drape yourself in that marvellous blue and white saltire. Wear a kilt (sans pants if you dare), learn to play the bag pipes and celebrate St. Andrews day with pride. This is Scotland! This country is amazing. Be proud, loud and Scottish! You rock!